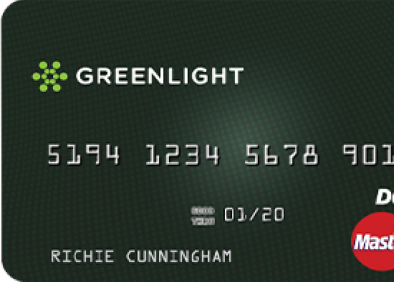 Greenlight is the debit card for kids that comes with our patent-pending parental controls. To get started today, download the app! 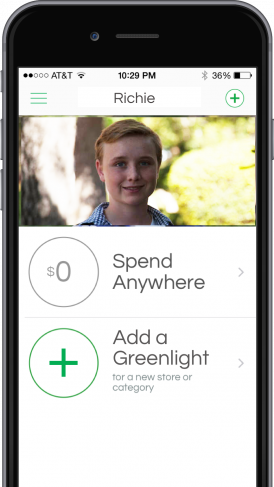 Pick the exact stores near you where your child can spend--we call it "adding a greenlight." Or let them spend anywhere. Or do a mix between the two, as they get older. All up to you, with our patent-pending parental controls. Cash can be lost, stolen, defaced, or torn. But a sturdy Greenlight Card comes with your child's name on it. And it can be instantly shut off--from either your phone or your child's--the minute it can't be found. Set Greenlight to pay allowances automatically. No more searching for loose change on allowance days! In a click, get funds to your kid from wherever you have an internet connection. Real-time notifications tell you where and when your child just spent. And reporting lets you and your child review spending choices. Download the Greenlight App and sign up today! 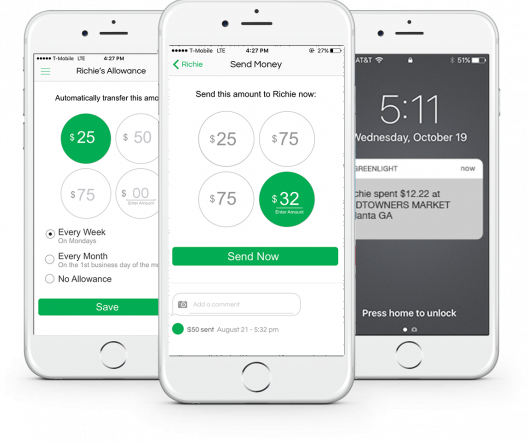 © 2017 Greenlight Financial Technology, Inc. 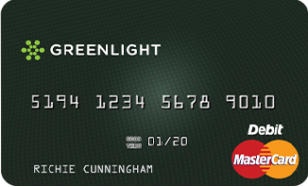 The Greenlight Card is issued by Community Federal Savings Bank, member FDIC, pursuant to license by MasterCard International.